Hey! Finally my fashion Friday is back! This winter I just love wearing lots of different kind of sweaters that comfy and warm! I choose this pink sweater because too often we allow black cover our wardrobes. Here I pose with big teddy and small teddy haha. The color we wear reflects on our skin, so pink definitely gives me a better glow! Boots are also essential for keeping warm and also styling, with the right pair and coordinate, you can accentuate your legs! 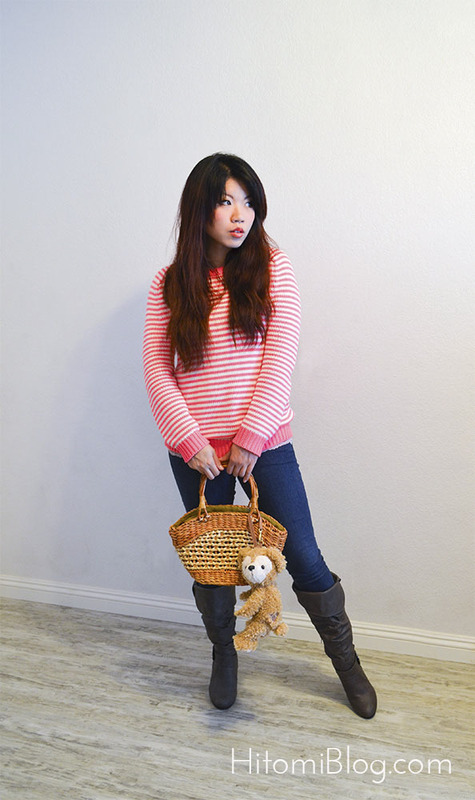 Pairing my outfit with a country style bag, keeps everything a sweet casual look. I hope you like today’s OOTD Fashion Friday post. Duffy says bye and see you next time!